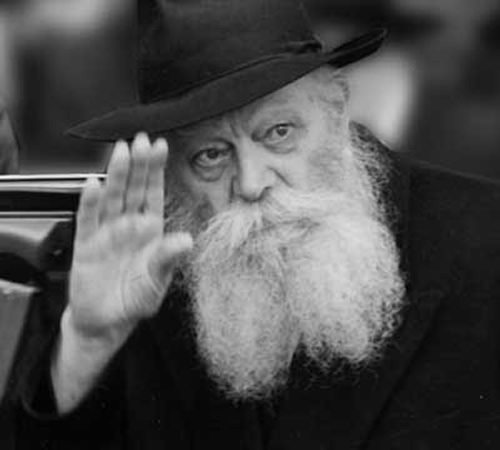 The Lubavitcher Rebbe, Rabbi Menachem Mendel Schneerson, of righteous memory (1902-1994), the seventh leader in the Chabad-Lubavitch dynasty, is considered to have been the most phenomenal Jewish personality of modern times. To hundreds of thousands of followers and millions of sympathizers and admirers around the world, he was — and still is, despite his passing — "the Rebbe," undoubtedly, the one individual more than any other singularly responsible for stirring the conscience and spiritual awakening of world Jewry. The Rebbe was born in 1902, on the 11th day of Nissan, in Nikolaev, Russia, to the renowned kabbalist, talmudic scholar and leader Rabbi Levi Yitzchak and Rebbetzin Chana Schneerson. Rebbetzin Chana (1880-1964) was known for her erudition, kindness and extraordinary accessibility. Her courage and ingenuity became legend when during her husband's exile by the Soviets to a remote village in Asian Russia she labored to make inks from herbs she gathered in the fields — so that Rabbi Levi Yitzchak could continue writing his commentary on kabbalah and other Torah-subjects. The Rebbe was named after his ancestor, the third Rebbe, Rabbi Menachem Mendel of Lubavitch, with whom he later shared many characteristics. 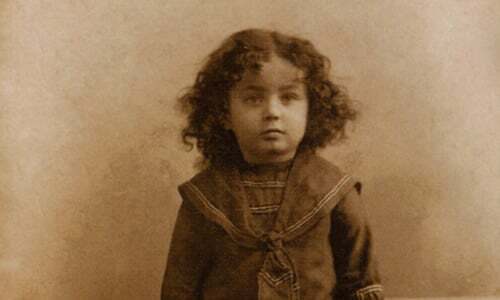 The Rebbe photographed as a young child, Nissan 1904. Courtesy of JEM. There is a story told about the Rebbe's early life that seems to be almost symbolic of everything that was to follow. 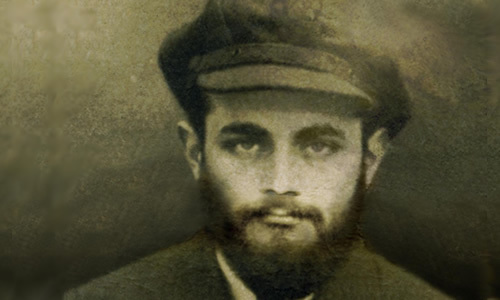 When he was nine years old, the young Menachem Mendel courageously dove into the Black Sea and saved the life of a little boy who had rowed out to sea and lost control of his small craft. That sense of "other lives in danger" seems to have dominated his consciousness; of Jews drowning in assimilation, ignorance or alienation—and no one hearing their cries for help: Jews on campus, in isolated communities, under repressive regimes. From early childhood he displayed a prodigious mental acuity. By the time he reached his Bar Mitzvah, the Rebbe was considered an illuy, a Torah prodigy. He spent his teen years immersed in the study of Torah. The photograph of the Rebbe from his Russian passport. Courtesy of JEM. In 1929 Rabbi Menachem Mendel married the sixth Rebbe's daughter, Rebbetzin Chaya Mushka, in Warsaw. (The Rebbetzin, born in 1901, was chosen by her father, the sixth Rebbe, to accompany him in his forced exile to Kostroma in 1927. For sixty years she was the Rebbe's life partner; she passed away on 22 Sh'vat in 1988.) He later studied in the University of Berlin and then at the Sorbonne in Paris. It may have been in these years that his formidable knowledge of mathematics and the sciences began to blossom. On Monday, Sivan 28, 5701 (June 23, 1941) the Rebbe and the Rebbetzin arrived in the United States, having been miraculously rescued, by the grace of Almighty G‑d, from the European holocaust. 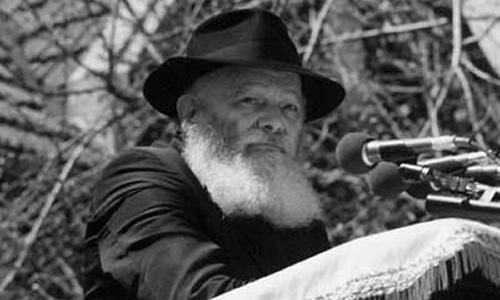 The Rebbe's arrival marked the launching of sweeping new efforts in bolstering and disseminating Torah and Judaism in general, and Chassidic teachings in particular, through the establishment of three central Lubavitch organizations under the Rebbe's leadership: Merkos L'Inyonei Chinuch ("Central Organization For Jewish Education"), Kehot Publication Society, and Machne Israel, a social services agency. Shortly after his arrival, per his father-in-law's urging, the Rebbe began publishing his notations to various Chassidic and kabbalistic treatises, as well as a wide range of response on Torah subjects. With publication of these works his genius was soon recognized by scholars throughout the world. After the passing of his father-in-law, Rabbi Yosef Yitzchak Schneersohn, in 1950, Rabbi Menachem M. Schneerson reluctantly ascended to the leadership of the Lubavitch movement, whose headquarters at 770 Eastern Parkway in Brooklyn, New York. Soon Lubavitch institutions and activities took on new dimensions. The outreaching philosophy of Chabad-Lubavitch was translated into ever greater action, as Lubavitch centers and Chabad Houses were opened in dozens of cities and university campuses around the world. The Rebbe keenly understood that our every action is part of a bigger picture. Every good deed we do brings humanity closer to the ultimate goal, the era of cosmic perfection and universal awareness of G‑d, known in Judaism as the time of Moshiach. The Rebbe spoke tirelessly about this time, demonstrating how the world is heading closer and closer to this special era and how every person can actualize it by increasing in acts of goodness and kindness. On Monday afternoon (March 2, 1992), while praying at the gravesite of his father-in-law and predecessor, the Rebbe suffered a stroke that paralyzed his right side and, most devastatingly, robbed him of the ability to speak. Two years and three months later, the Rebbe passed away in the early morning hours of the 3rd of the Hebrew month of Tammuz, in the year 5754 from creation (June, 12 1994), orphaning a generation. With the Rebbe's teachings propelling them and his example serving as a beacon to emulate, Lubavitch has rapidly grown to be a worldwide presence, and all its various activities are stamped with his vision. Small wonder then, that many ask, "What is it about his leadership that was — and, in so many ways, still is — so unique? Why do leading personalities of the day maintain such profound respect and admiration for him?" Many leaders recognize the need of the moment and respond with courage and directions. This is their forte — and an admirable one. Others, though their strength may not lie in "instant response" to current problems, are blessed with the ability of perceptive foresight — knowing what tomorrow will bring and how to best prepare. Still other leaders excel in yet a third distinct area, possessing a keen sense of history and tradition; their advice and leadership is molded by a great sensitivity to the past. But one who possessed all three qualities was truly unique, standing alone in leadership. Such was the Lubavitcher Rebbe — the inspiration and driving force behind the success of Lubavitch today. Radiating a keen sense of urgency, he demanded much from his followers, and even more from himself. The Rebbe led, above else, by example. He was a rare blend of prophetic visionary and pragmatic leader, synthesizing deep insight into the present needs of the Jewish people with a breadth of vision for its future. In a sense, he charted the course of Jewish history — initiating, in addition to reacting to, current events. The Rebbe was guided by inspired insight and foresight in combination with encyclopedic scholarship, and all his pronouncements and undertakings were, first and foremost, rooted in our Holy Torah. Time and again, what was clear to him at the outset became obvious to other leaders with hindsight, decades later. From the moment the Rebbe arrived in America in 1941, his brilliance at addressing himself to the following ideal became apparent: He would not acknowledge division or separation. Every Jew — indeed every human being — has a unique role to play in the greater scheme of things and is an integral part of the tapestry of G‑d's creation. For nearly five of the most critical decades in recent history, the Rebbe's goal to reach out to every corner of the world with love and concern has unfolded dramatically. No sector of the community has been excluded — young and old; men and women; leader and layman; scholar and laborer; student and teacher; children, and even infants. He had an uncanny ability to meet everyone at their own level — he advised Heads of State on matters of national and international importance, explored with professionals the complexities in their own fields of expertise, and spoke to small children with warm words and a fatherly smile. With extraordinary insight, he perceived the wealth of potential in each person. His inspiration, now accessible through his writings and videos, boosts the individual's self-perception, ignites his awareness of that hidden wealth and motivates a desire to fulfill his potential. In the same way, many a community has been transformed by the Rebbe's message, and been given — directly or indirectly — a new sense of purpose and confidence. In each case the same strong, if subtle, message is imparted: "You are Divinely gifted with enormous strength and energy — actualize it!" The very first traditional Shabbat I was ever at was at a Chabad House. That Rabbi was a student at a Chabad Yeshiva near where the Rebbe lived. And I do believe that there is something special about The Rebbe and those similar. It's an ever-growing, mystical presence. Helps keep us on the rght Track Very interesting and moving. One is amazed at how the Rebbe just kept going and didn't relinquish his efforts on behalf of the Jewish People. We forget how unfashionable it once was to be interested in Yahaduth. The Baal Shem Tov and R Meir Baal HaNess teach that the name is the essence of the purpose; it reflects his mission on earth. Recognition of the Rebbe As a "senior citizen" originally from a conservative background, and unfortunately, not as well read about the Rebbe, as I might have been, I still remember hearing about him throughout his years in Brooklyn. He was truly a godly man, and a compassionate person. America could now use his influence. Meeting him changed my life Only in my teens, G_d blessed me with being in the Rebbe's presence at 770 Eastern Parkway. As anyone will tell you his goodness surrounded you and his eyes knew penetrated into the part of your soul which is private between you and G_d.